Great opportunity to live in one unit and rent other two. Nice location, newer roof, new outside paint, all units have two entrances and two parking spots. Each unit is separately metered. Please Do Not Disturb Tenants. Lot Size: 0.12 Acres / 5153 Sq. Ft. Directions:West of Arlington and South of Martin Luther King Blvd. SchoolsClick map icons below to view information for schools near 4091 8th Avenue Los Angeles, CA 90008. Listing provided courtesy of Griselda Espinoza, Terranova Real Estate Group In. Home for sale at 4091 8th Avenue Los Angeles, CA 90008. Description: The home at 4091 8th Avenue Los Angeles, CA 90008 with the MLS Number 18401756 is currently listed at $873,000 and has been on the Los Angeles market for 173 days. 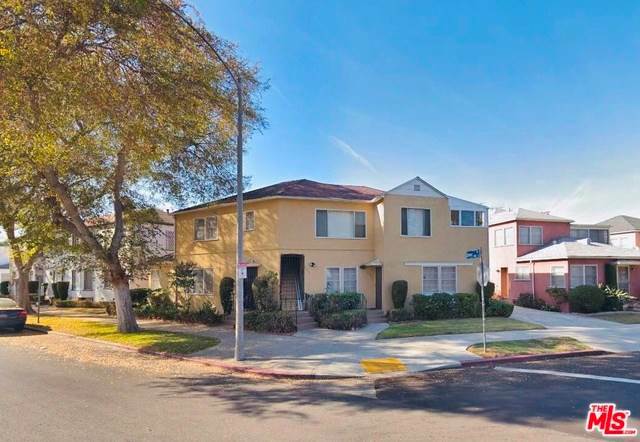 You are viewing the MLS property details of the home for sale at 4091 8th Avenue Los Angeles, CA 90008, which includes 0 bedrooms, 0 bathrooms and has approximately 0 sq.ft. of living area.